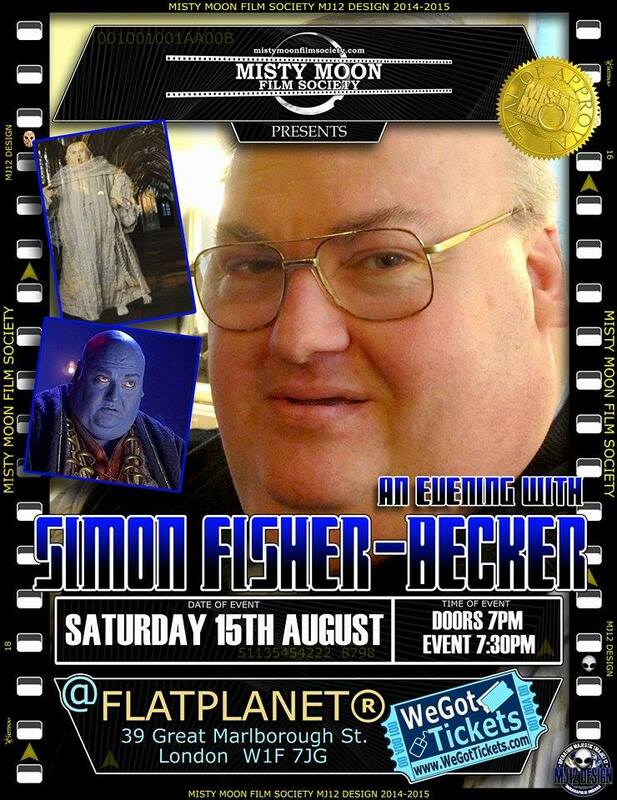 The Misty Moon Film Society is proud to announce An Evening With Simon Fisher-Becker @ FlatPlanet on Saturday the 15th August. Simon has appeared in many stage, TV and Film productions. From playing The Fat Friar in the Harry Potter films, to Tony in Puppy Love, but Simon is most known for playing the big blue man Dorium Maldover in Doctor Who. Join Simon for an intimate evening of chat with Misty Moon’s MC Chris Collins. Simon is a fabulous raconteur, so the evening will be very funny and very entertaining. Art work by Ronnie Clark.